Definitely one of our favourites! 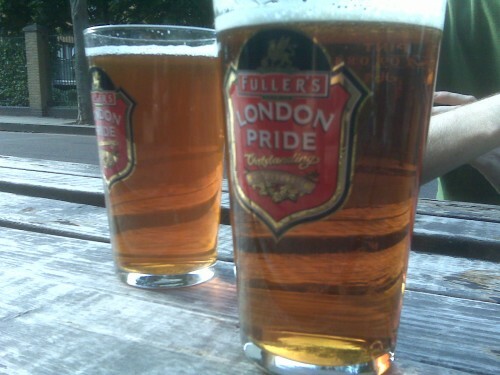 The tradition of a Sunday lunch/dinner at the pub is one we’ll definitely miss. 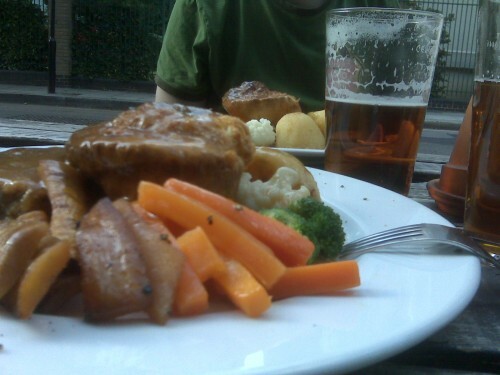 Even though its a heavy meal (i find the vegetarian nut roast much lighter), its just so delicious with a fresh pint of ale and on a day like today even nicer to sit outside in the sun.